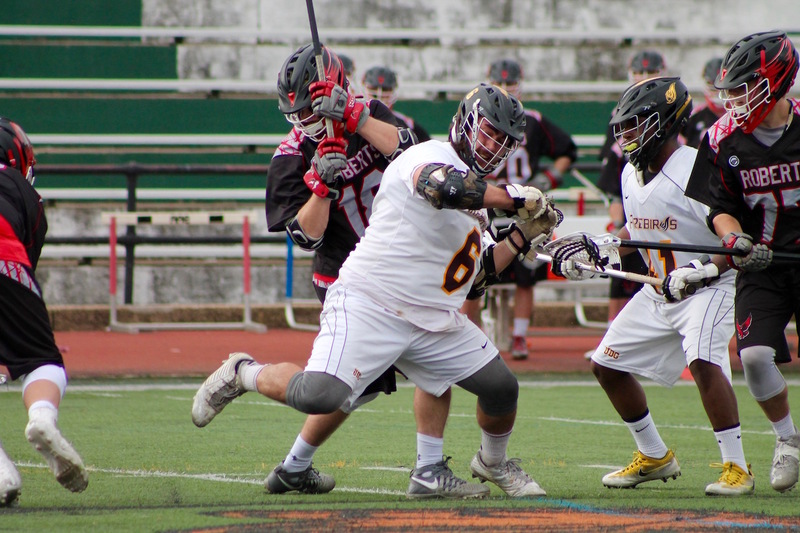 The University of the District of Columbia men's lacrosse team earned a 10-8 victory vs. East Coast Conference foe Roberts Wesleyan College on Saturday afternoon at Woodrow Wilson HS. 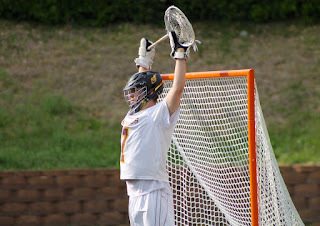 Defensively, freshman goalkeeper Nikolas Lund-Murray stopped 13 of 21 shots faced in a complete game victory. 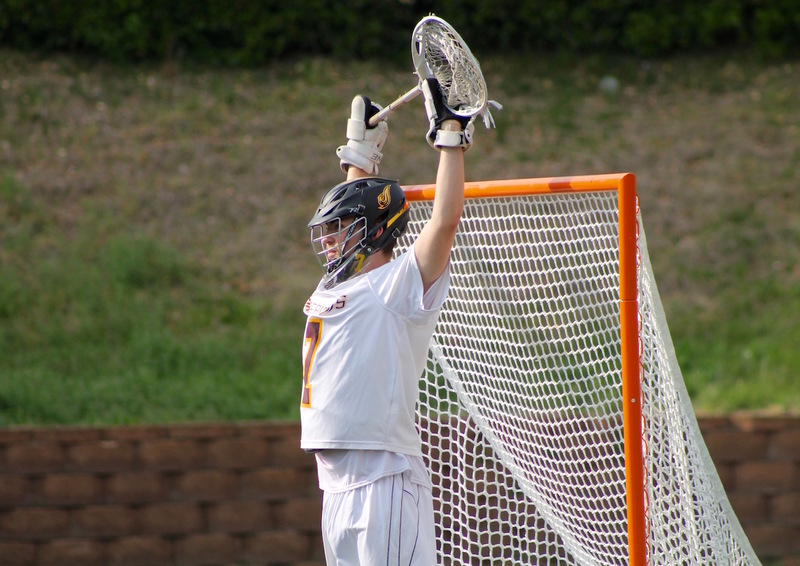 Lund-Murray, who's eight goals allowed today was a season-low, has now had over 10 saves in four games this season. 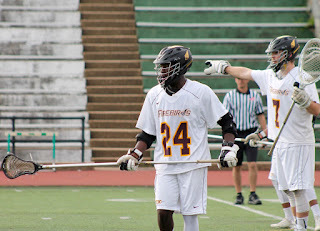 Junior midfielder LaRon Hinton tied for the game-high with five points on four goals scored and one assist. He put six of eight shots on goal, collected four ground balls and added a team-high two caused turnovers. Another junior midfielder, Syrrus Nash, added three points on two goals and one assist, and sophomores Tyler Mace and Zach Hart each pitched in two points on one goal and one assist. 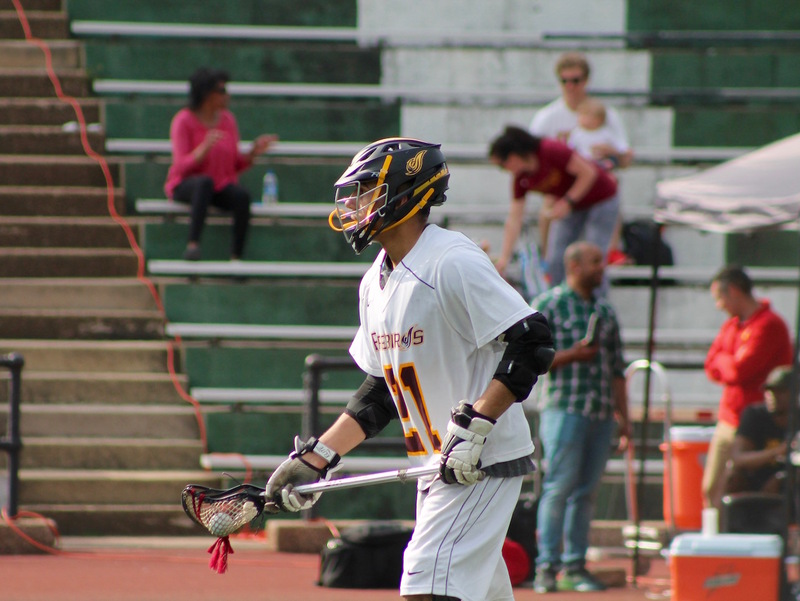 Junior midfielder Teilen Celentano was 6-of-11 for the day on face-offs, and he scored the final goal of the game - a pivotal insurance goal with 1:17 remaining in regulation to put UDC ahead by two. Roberts Wesleyan (4-8, 1-4 ECC) featured four different goal scorers, including a game-high-tying five points on four goals and one assist by Cody Menzies. Attack Alex Bianchi added three points on two goals and one assist. 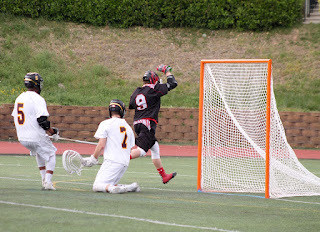 Redhawks goalkeeper Keith Keehn also had a terrific performance in a losing effort today as he stopped 12 of 22 shots faced with 10 goals allowed. UDC controlled possession for almost the entire first quarter as the Firebirds out-shot the Redhawks, 12-5. The hosts went on to score two goals - the first by Hinton and the second by Nash - and hold RWC scoreless through one period as they led 2-0 at the first horn. 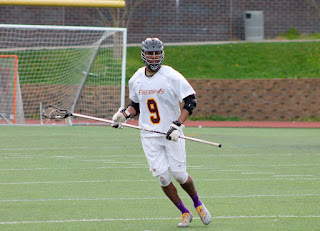 Hinton scored again to open the scoring in the 2nd quarter at the 12:15 mark, and he extended the Firebirds' lead to 3-0. 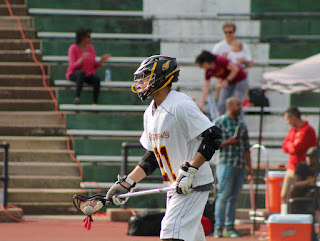 Roberts Wesleyan finally got on the board at the 10:37 mark with a goal by Menzies, but freshman attack Alan Singleton scored off of an assist by Nash less than a minute later, and UDC led 4-1. 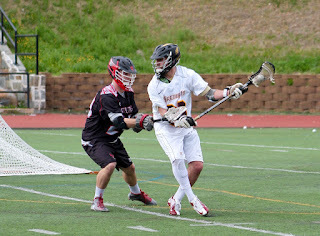 The Redhawks would respond, however, as Menzies scored back-to-back goals at 9:35 and 4:42, and Bianchi added a 3rd straight RWC goal at 1:44 to force a 4-4 tie. 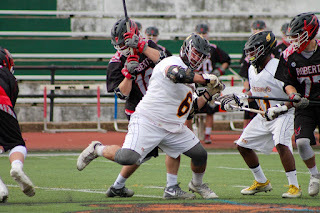 Mace would then give UDC back the lead, 5-4 as he scored off a feed by Hinton with 52 seconds remaining, and the Firebirds would settle for a one-goal halftime advantage. Roberts Wesleyan took quick advantage of a man-up opportunity on a non-releasable penalty at the end of the first half as Bianchi struck less than 30 seconds into the 3rd quarter to force a 5-all tie. 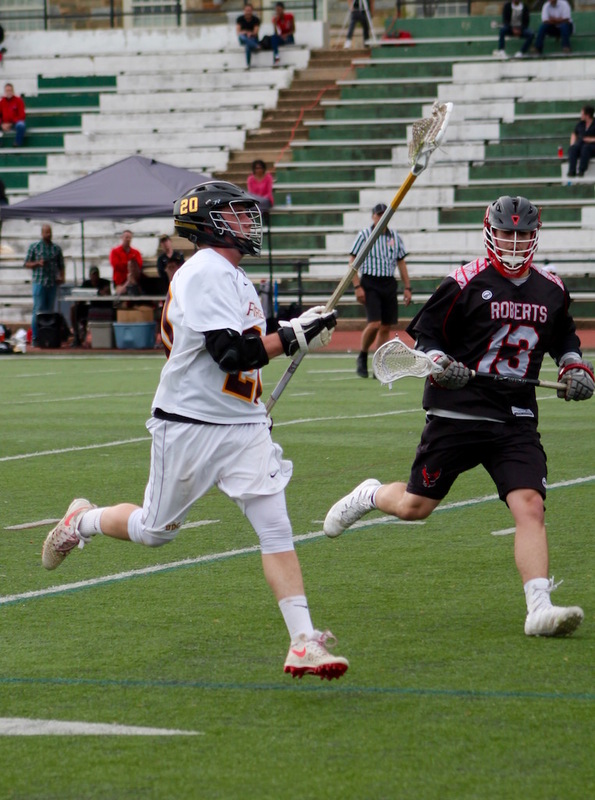 The Redhawks, who were 3-of-4 for the day on man-up opportunities, also converted after another UDC penalty as Brady Bermingham scored just past the nine-minute mark to give RWC its first lead of the day, 6-5. Hinton would then score his 3rd goal of the day at the 4:23 mark to force a 6-all tie, but Menzies scored his 4th and final goal of the day with only 47 seconds left in the period to give the Redhawks a 7-6 lead heading into the 4th quarter. After five minutes of scoreless action to start the final period, Hart jump-started a 3-0 Firebird surge with an unassisted goal at the 9:50 mark. 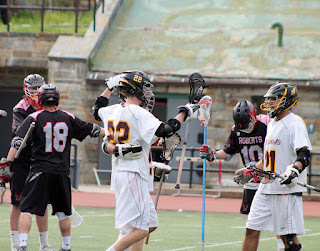 Nash followed 50 seconds later with a goal off an assist by Singleton, and then Hinton scored his 4th goal off an assist by Hart at 6:20 to put UDC in front, 9-7. RWC's Collin Waden made it a one-goal game, 9-8 as he scored at the 4:31 mark, but UDC's defensive unit would not allow another shot on goal for the rest of the game. 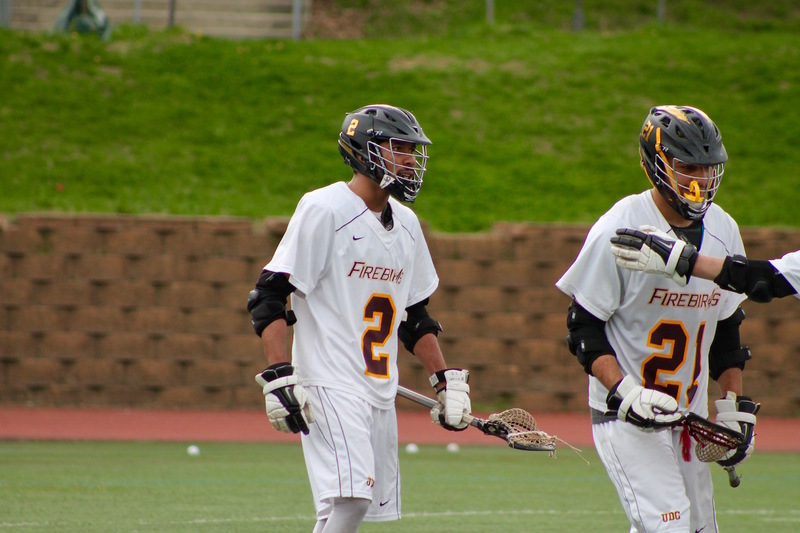 Celentano, who won the faceoff at 6:20 following Waden's goal, went on to rip a shot past Keehn for a crucial insurance goal just as the 30-second shot clock went into effect on the Firebirds' offensive possession. Jordan Crusha would win the final faceoff for RWC, but the Firebirds' defensive unit kept the Redhawks out on the perimeter for the remaining 1:17. 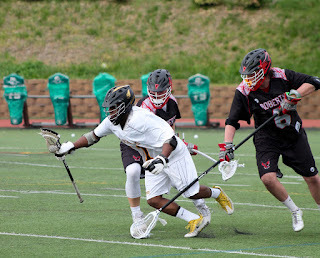 Even following a timeout by RWC, all the Redhawks could manage was a shot wide of the mark with four seconds remaining as UDC held on for the two-goal victory. Next up, UDC will host its Senior Day game on UDC Field, Saturday, April 22nd at 1 PM. 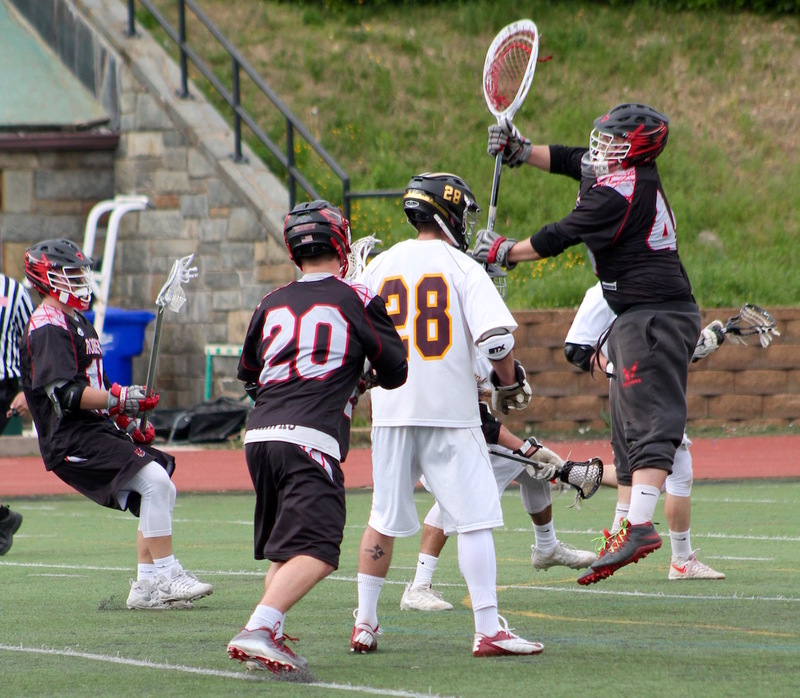 The Firebirds will take on ECC foe LIU Post.